When the winter months come Southwest Michigan, they bring with them snow, ice and cold temperatures. Unfortunately, that also means they can bring frozen pipes – or worse, burst pipes. Frozen pipes need to be taken care of properly in order to prevent a disaster. That means, as soon as you discover your pipes are frozen, you need to call in an expert right away. Fortunately, Boelcke Heating and Air Conditioning can help. We’ll take care of your frozen pipes before they burst – or after. Hopefully, you discover frozen pipes before they burst. If you do, turn off your main water valve right away, and open a faucet so water that melts can easily flow out. Thaw out pipes as best as you can by wrapping them in warm towels and using a blow dryer to keep hot air circulating around the pipes. Then call the experts at Boelcke Heating and Air Conditioning. Our skilled master plumbers can help you get your frozen pipes thawed, and in the unfortunate event of a burst pipe, we can make the repairs needed to your plumbing. 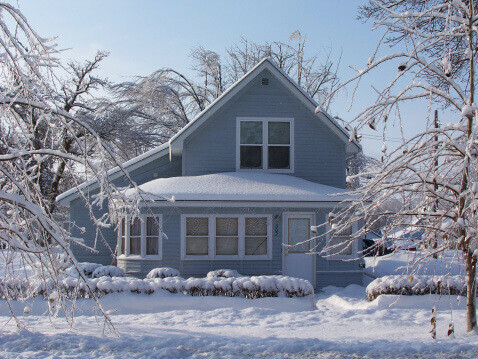 Boelcke Heating and Air Conditioning can help you with frozen or burst pipes, and much more.